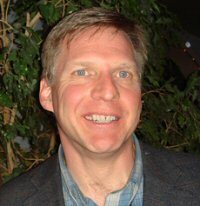 The articles of business thinker and writer Gord Hotchkiss are some of my favorite “go-to” columns on the web because they’re invariably thought-provoking pieces to read. In one recent column, Hotchkiss poses an interesting set of questions and points surrounding what he dubs the emerging “metaphysical corporation.” He notes that more business today is being conducted in non-physical markets. To illustrate this claim, Hotchkiss cites a recent evaluation issued by intellectual property merchant bank Ocean Tomo, which reports that the asset mix of companies has undergone a massive shift over the past 40 years. In 1975, tangible assets — equipment, buildings, inventory and land — made up more than 80% of the asset market value of the S&P 500 companies. In just 35 years, that ratio has flipped completely. Intangible assets — patents, trademarks, goodwill, brand equity — now make up 80% of the S&P 500’s asset market value. Historically, companies that made physical products needed a supply chain. Vertical integration was the common way to remove physical “transactional friction” from the manufacturing process. And vertical integration was best managed through hierarchical management styles. On the other hand, companies that sell ideas or intangible products need to have a network. By their very nature, these networks don’t have physical friction, so supply chains aren’t required. In fact, attempting to control a network via a centralized organizational structure tends to be counterproductive, as branches of the network are prone to wither under such constraints. Economic and social theorist Jeremy Rifkin takes this point even further. 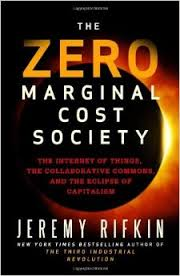 In his new book The Zero Marginal Cost Society, Rifkin contends that capitalism as we know it is dying a slow death, to be replaced by a new “collaborative common market” made possible by the shrinkage of marginal costs. Like other big trends, this transformation won’t happen overnight. But it will happen by degrees in the coming years and decades, according to Hotchkiss. … So much so that the corporates structure we know today will be all-but-unrecognizable to workers 50 years from now. I find this theory pretty fascinating, and I certainly recognize the logic behind it. What are your thoughts about it? Are Hotchkiss and Rifkin onto something? Please share your thoughts with other readers here. ← Does Social Media Buzz Actually Win Elections? The need for capital isn’t the only thing that disappears when “transactional friction” is reduced or eliminated. The demand for labor collapses, too.